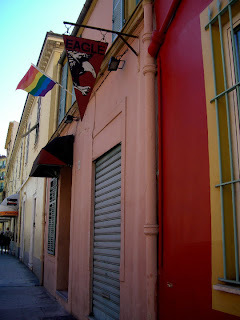 In a quaint part of Nice, close to the port, you’ll come across an unassuming cruising bar by the name of Eagle Nice. Eagle Nice has been a fixture in the city for a number of years now; I remember it being called “Castro” around the year 2000. Being in the same location for so long means it has a regular clientele base that frequents the establishment, I’ve also found that clientele base is rather diverse, depending on the event taking place. It’s all good though, Eagle Nice feels like your hometown, neighborhood bar where everyone is welcome, that is if your favorite locale also has it’s own separate cruising section. 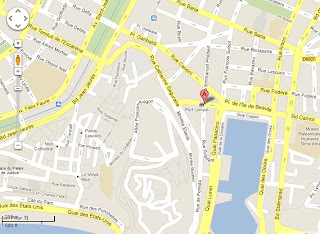 Eagle Nice is not hard to find and there are a number of ways you can get to the bar. One way to get to Eagle Nice is to take the tram. If you do take the tram, take it to the Garibaldi stop, walk through Place Garibaldi towards the port, you will approach rue Cassini, stay on that street for about two blocks and then turn right on rue Emmanuel-Philibert for about a block and a half where you will find Eagle Nice at: 18 bis, rue Emmanuel-Philibert. 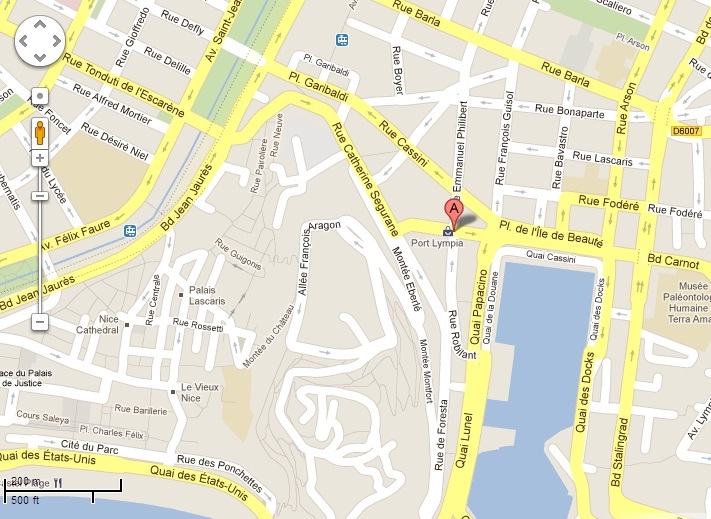 This is a part of Nice the gay community is affectionately calling “le petit Marais” after the Marais district in Paris. Many gay businesses are currently popping up here. Eagle Nice will be easy to spot as it usually has a rainbow flag hanging out front of the peach colored, two-story building, along with the Eagle Nice signage. Step up to the entrance where you will have to ring the door buzzer, once you are buzzed in there is a tiny area where you sometimes have to pay a small cover but it usually includes a conso (drink). This could also all depend on what kind of event is taking place though. Either way, there is always some kind of action going on at Eagle Nice. Once inside, you will immediately see the long serving bar on the left and to your right are two wide doorways that lead to the ever-changing cruising section. I could go into more detail about the place, but it’s very self-explanatory and I do want you to have fun exploring the cruising bar on your own. Just keep in mind; those in attendance are of varied age, backgrounds and scenes. There are all kinds of parties and events constantly taking place at Eagle Nice such as: bear events, underwear parties, leather and even blackout nights, so go with an open mind and expect the unexpected. Eagle Nice is open seven nights a week from 9pm-2:30am. Even on a quieter night in the city, there always seems to be someone you can meet and have a drink with at Eagle Nice.